The latest entry in this franchise, Fast & Furious 6 (aka Furious 6) is also the first one to have real expectations to follow up on. Fast Five opened two years ago to rave reviews and massive box office success, so was director Justin Lin able to keep the momentum going forward into the sixth film (his fourth with the series)? Furious 6 picks up some time after the Rio heist featured in the previous film, with all of our heroes living large from their payday. It also continues with the juicy nugget teased in the post-credit scene of Fast Five, with Letty (Michelle Rodriguez) shown alive and well after we witnessed her ambiguous death at the hands of a drug cartel in Fast & Furious (the fourth film if you’re keeping count). Agent Hobbs (Dwayne Johnson) and his new partner Riley (Gina Carano) use this information to recruit Dom (Vin Diesel), and Brian (Paul Walker) to stop a team of international thieves in possession of a dangerous “component,” promising Dom they will discover Letty’s whereabouts in the process. Dom calls up the rest of the Fast and Furious family including Roman (Tyrese), Tej (Ludacris), Han (Sung Kang), and Gisele (Gal Gadot) for the reunion. The MacGuffin in this film is touted as a great threat to human life, yet we literally only ever see this “component” in the form of a briefcase. Let’s be honest though, the plot doesn’t matter. This threatening briefcase is the perfect excuse to have, in the words of Roman, “vehicular warfare,” across Europe. This crazy premise and the chemistry in the ensemble works as well as it did last time, and the pair-ups throughout the movie keep the comic book crossover feel flowing. The action sequences are on par with the best of the series, including tanks, planes, and other exuberant ridiculousness that defy the laws of physics with impunity. Interestingly enough, some of the most thrilling action moments come from the intense hand-to-hand combat. These aren’t thugs driving cars, they’re mix martial arts gurus driving cars. Further evidence that this street-racing franchise has come a long way in redefining its own genre. Unfortunately, there are two things holding Furious 6 back from reaching the highs of the previous film. First, much of the film revolves around Dom and Letty as star-crossed lovers destined to be together. It’s hard to be invested in the relationship, however, because the strengths of Diesel and Rodriguez as actors are not rooted in emotional scenes. Whenever the film tries to spend time on intimacy, it grinds to a halt. Additionally, the climactic action set-piece takes place entirely at night, which makes everything ill-defined and difficult to follow. This hasn’t been a problem in the other F&F films directed by Lin, so I was especially disappointed to see it in his final bow. There really isn’t much to complain about with Furious 6 though, and Lin is due praise for turning a franchise about practically nothing into one with an interesting continuity and surprisingly complex mythology for an action series of its ilk. Is it better than Fast Five? No, but it marks a turning point for the series that opens up a myriad of possiblilities for future films. It easily entertains and confidently sustains the franchise that has only continued to up the ante with each installment. 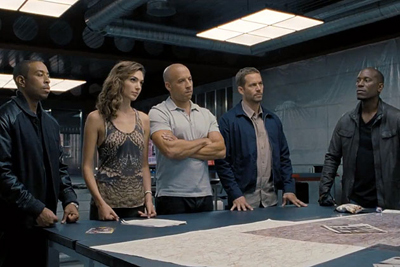 Be sure to stick around for the pre-credit teaser to F&F 7! 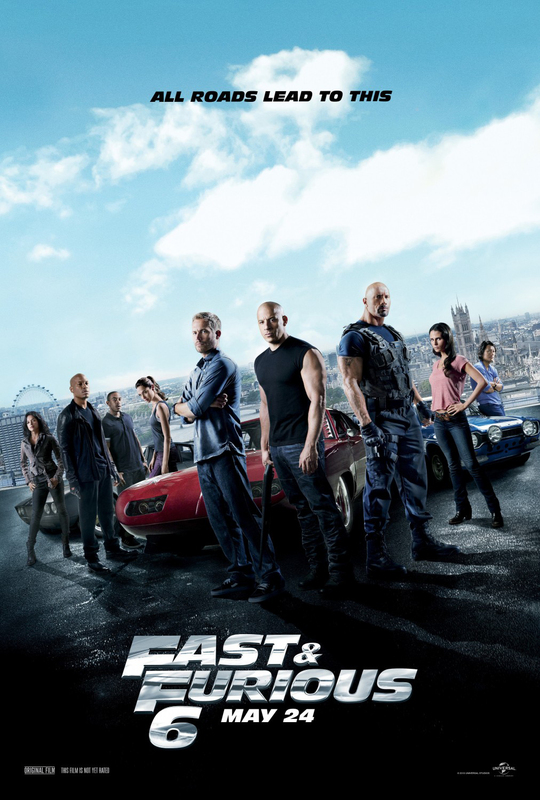 Fast & Furious 6 opens today in Philly-area theaters.